In honor of a spectacular legacy that began 50 years ago in 1968, at a time when Robert Mondavi first released his 1966 Cabernet Sauvignon, inspiring the waves of pioneers to follow, we are delighted to release the newest vintage of his grandson’s Sonoma Coast Pinot Noir collection called RAEN, which stands for Research in Agriculture and Enology Naturally, and the entire collection sells out every year! To get to RAEN’s three distinct vineyards out on the “True Sonoma Coast,” a few miles from the Pacific Ocean, one must traverse across a succession of winding roads through blanketed redwood groves and bumpy cattle grates. There’s simply no shortcut to this winegrowing region sitting at elevations of 650 – 1,270 feet above sea level. The Pinot Noir growing there, considered one of the coolest areas in the state, wouldn’t have it any other way. All three of RAEN’s designated sites, championed by brothers Carlo and Dante Mondavi, were selected specifically with the intention of growing fruit that would help them produce Pinot Noir that could stand alongside some of the finest in the world, showcasing grapes that develop intense flavor and acidity without a high sugar content. Named after and dedicated to their grandfather, Robert Mondavi, who taught them to be committed to excellence, the Royal St. Robert, coming from what Carlo and Dante feel are their top barrels of wines sourced from their three different sites. On summer mornings, pacific fog engulfs the vineyard, covering the fruit with essential ocean mist. The fog recedes back in the late mornings drenching the vines in afternoon sunlight and warmth ripening the fruit. Wild strawberries, crushed Bing cherries and rose petals fill the glass. It reminds us of the thyme, forest floor and wet rock aromas that you would find in a grippy Northern Rhone wine. We find this wine to be remarkable, one we keep reaching for over and over again. Their Home Field Vineyard bottling is what they call “our pretty lady.” It really is pure elegance. The vines are planted on a remote hillside less than two miles from the cool Pacific Ocean and perched at 1,400 feet. Because of its location and the exposure to significantly cooler ocean winds and temperatures, the Home Field Vineyard offers a delicate bouquet of fruit and earth. This wine opens with sweet wild raspberry, orange pith and rose petals, followed by coastal moss, green tea, wet rock and candied orange zest. The finish is persistent and fades to notes of raspberry and dried herbs as this coastal site lingers on your pallet. With each sip, you feel as if you are standing on the edge of the vineyard looking out over the ocean. 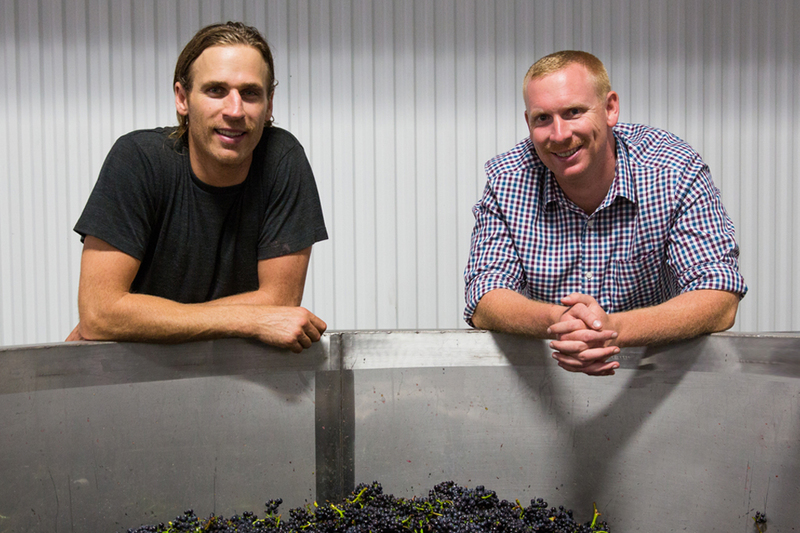 In 2013, Carlo and Dante founded RAEN Winery with the goal to produce world class Pinot Noir on the western hills of the Sonoma Coast. RAEN currently focuses on making three Pinot Noirs, from three unique sites on the Sonoma Coast.